a very common type of non-metallic element. Nitrogen is a type of gaseous non-metallic element. hydrogen, and occasionally sulfur, iron, iodine, and phosphorous. 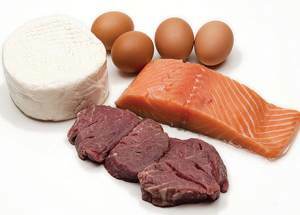 WHY ARE PROTEINS & AMINO ACIDS IMPORTANT? them and they must be obtained from diet. WHAT ARE GOOD PROTEIN FOOD SOURCES? contain an adequate amount of all essential amino acids. WHAT HAPPENS IF YOU CONSUME TOO LITTLE PROTEIN? WHAT HAPPENS IF YOU CONSUME TOO MUCH PROTEIN? In some conditions, consuming too much protein can result in fluid imbalance. Protein is sometimes abbreviated with a lowercase "p."
WHY IS IT CALLED PROTEIN? Protein comes from the Greek word "proteios" meaning "first rank."